'We're entering a new era of corrections, and the Arizona Department of Corrections is helping to lead the way,' said ADC Director Charles L. Ryan. 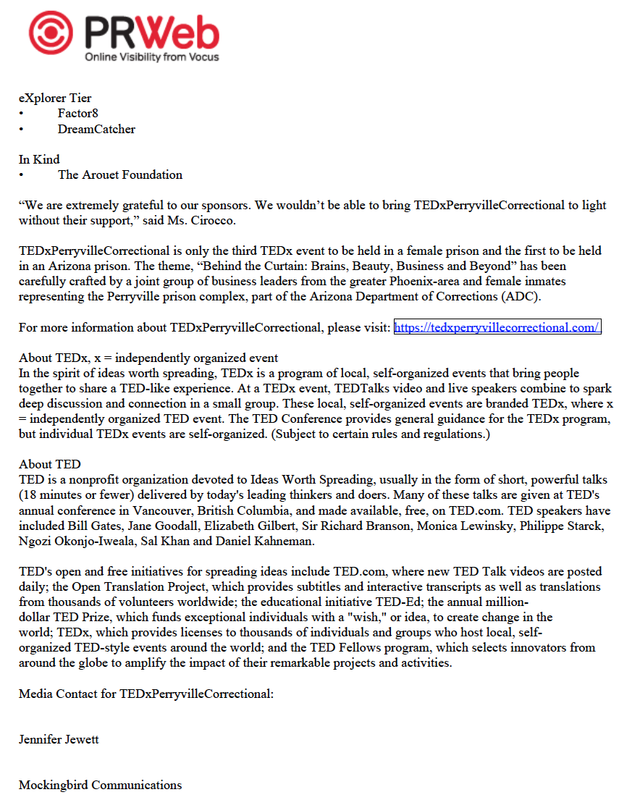 'We’re pleased to be a partner in the TEDxPerryvilleCorrectional Conference for this first-of-its-kind event in Arizona, and hope it will serve to promote an open and constructive discussion of the goals we all share to help inmates prepare for a successful re-entry and to reduce recidivism. We’ve all experienced some sort of prejudice in our lives and we’ve focused our theme to look behind the curtain and see the good that comes from someone’s journey of transformation.